The summer is a great time to start your lifestyle transition, as the days are long and sunny and working out doesn’t seem so bad; with the extra energy from phentermine, you can begin an exercise plan that you can really stick to. Plus, since many people have less of an appetite in the hot weather, salads and fruit are more appealing than filling dishes. However, summer is also vacation time for many, and while this means you get a well-deserved break from your daily life, it also means you are at risk of breaking the good habits you’ve started with your diet. Here we give you some tips on how to get back on track with your weight loss journey after your vacation is over. You will probably have to come back to an empty fridge, but your cupboards and freezer should not be bare! If you can’t get to the supermarket right away, at least have some frozen fruit and vegetables, frozen lean meat, some brown rice or whole wheat pasta, and packets of nuts and seeds in stock so that you can prepare a meal and have some snacks to tie you over. Then, when you do have the chance, go shopping and replenish your supplies of fresh produce as healthy meals are much easier to make when you have a well-stocked kitchen. Your sleep patterns will probably be off, you’ll likely feel down after your great vacation, and the last thing you’ll feel like doing is waking up early to do a work out. However, you should really make the effort to get back to normal as soon as possible. If you don’t get back into the routine, these bad choices will become bad habits. The longer you stay in vacation mode, the worse it will be – you don’t want those five pounds you gained to turn into ten! Exercise will lift your post-holiday blues and give you lots of energy, which you may be lacking after a vacation. Depending on how long you were away for, you could find the exercise levels you were used to much harder, but don’t give up! Push through and you’ll soon be back up to speed. Making healthy choices is much easier when you’re well-rested. Although it may be tempting to hit the snooze button, get up at your usual time and exercise (if that’s what you normally do) and go to bed earlier in the evening. Getting your sleep cycle back to normal will give you the energy you need to stick to your healthy routine. Don’t beat yourself up about the bad choices you may have made on your vacations or since you returned. You can waste time thinking about the ice cream you ate on the beach, or the hotel buffet you couldn’t resist, or you can move on and make better choices today. Holding on to this food guilt will only start a cycle of unhealthy eating, you need to break the cycle; eat ice cream, move on, make a better choice next time. Not only does alcohol have a lot of calories, but it’s shown to cause poor dietary choices. Alcohol is also a depressant, which means it can depress your motivation to exercise as well as your body’s ability to burn fat and build muscle. For those taking phentermine, alcohol also limits the effects, so you may have found your will-power weakened if you overindulged while you were away. When you return you need to give yourself and your liver a break, so steer clear of alcohol for a few weeks and try to undo some of the damage you did by the poolside at cocktail hour. It’s likely that you gained weight during your vacation, so it’s best that you assess the damage as soon as possible in order to plan ahead for how to make up for this slip-up. Seeing the number on the scale should help motivate you to get back on track, and you never know, it could be better than you expected. You should also monitor your changes through body fat calipers, a tape measure which pinches your body to measure the amount of fat in a specific area. Doing this can motivate you even when the scales are not being kind to you. This is because lean muscle weighs more than fat, and numbers on the scale can hide these positive changes, whereas body measurements can give you the full picture. Although phentermine has proven over and over to be a very effective method for losing weight, eventually you need to stop that prescription and apply your lifestyle changes for the long-term. While this is possible, it is always easier said than done, and no one should be ashamed to seek help. This is why non-prescription diet/weight loss supplements are a great option, because more often than not, people need a bit of help to stay on track. 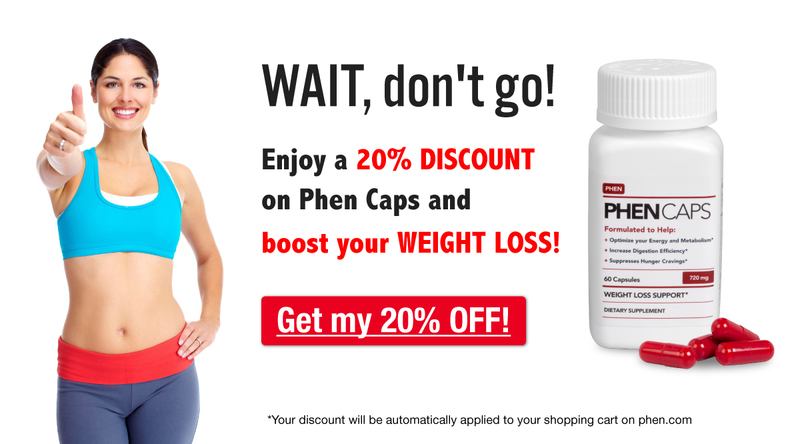 For this reason, we have started recommending Phen Caps, which suppresses appetite, cravings and increases energy. In can be taken instead of phentermine, with phentermine (for an added boost) or after your phentermine prescription ends. You can read more about Phen Caps here. We would love to hear about the vacations you’ve taken this year and your experiences with trying to stick to your weight loss plan while you were away from home. If you’re new to phentermine, did you find it easier to resist tempting foods on vacation, opposed to how you normally do? Also, if you have any tips of your own about how to get back on track when you return, please comment below! I was very hesitant about taking phentermine, but my doctor gave it to me and said i needed to do something about my weight. I had never taken diet pills.I’ve been taking phentermine for about 8 months now. It’s given me great results but for me the process seemed slow, but it was clear why and I was more than okay with that. I never set myself a strict diet. I opted for eating whatever I wanted just smaller amounts: I didn’t sacrifice my margaritas (but went from having 2-3 to having 1/2 a margarita); I didn’t sacrifice that chocolate cake I love so much; and most importantly I didn’t stop eating all the things I love to eat so much… Why? It wasn’t necessary… As my appetite suppressed, I just didn’t crave many things, period… I would feel full by the time I had eaten only 1/4 of my usual plate… Phentermine for me has been amazing. I’m 23 years old and I weighted 147lbs and I’m 4’10” tall. I felt obese next to my super skinny friends, who all weight between 100lbs and 125lbs. They are slightly taller than me, all passed the 5 feet tall, which made me feel worse.. knowing that I should weight less than them because of my height. As I started losing weight, I started feeling better about myself… I could now fit into my old clothes. From January to early June I had lost 31lbs. I was very happy with my 116lbs body 🙂 ready for the summer, but terribly scared of gaining the weight back! I had yet to spend a week in Cancun, and two months in Italy (pasta, pasta, pizza, and more pizza, and yummy gelato). I was terrified of gaining weight specially in Italy, looking back at last summer, when I spent a month and a half in Italy and another 1/2 month traveling around Europe, EATING… I knew I had gained weight because the new pants I had just bought were a size bigger than my usual. Anyway, I kept track this time around, but I still ate what I wanted, I even ate a small ice cream a day for the entire 2 months. I lost another 7lbs during my Italian summer… I now weight 109lbs. I feel great and it makes me happy when people notice I look different. People at my job were amazed, they kept telling me how pretty I look now. They had seen me last when I weighted 120lbs. Phentermine really helps but you also need to know your limit. I feel sick when I eat more than what I can now fit in my stomach. I got used to the smaller portions and I just can’t make myself eat more than that. I’m hoping it stays like that when I’m done taking phentermine. Hey Luisi, Thanks for the comment! Wow, what an amazing story, congratulations on your HUGE success! That is a very inspiring story, and your advice is spot on! Keep it up!